Since its founding in Le Locle in 1865, the Manufacture Zenith has constantly pushed the boundaries of precision. A quest notably expressed through the conception of the El Primero movement beating at the exceptional frequency of 36,000 vibrations per hour, followed by the invention of a gravity control system – the ultimate evolution of the marine chronometer. While the Academy Christophe Colomb Hurricane combines these two guarantors of absolute precision, it adds a third enhancement, this time based on the suppression of deviations from isochronism. Its fusée-chain transmission system guarantees constant force, resulting in rigorously stable amplitude throughout the running period.. When Georges Favre-Jacot regrouped the entire range of watchmaking professions under one roof in 1865, thereby inventing the very concept of a Manufacture, he doubtless had no idea that his brand would faithfully perpetuate his heritage of the subsequent eras through a clever blend of noble horological traditions and creative boldness. Nonetheless, almost 150 years later, the pioneering spirit of this visionary lives on with rare intensity. Although Zenith has never left the premises where it was born in Le Locle, the brand with the star emblem has never ceased to explore previously uncharted watchmaking territory. 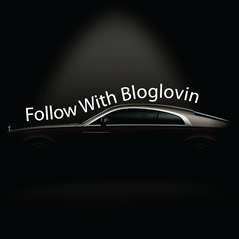 Witness the 300 patents it has registered. From marine chronometers to pocket-watches and wristwatches, the history of the Manufacture is punctuated by 600 movements entirely developed and produced in-house. 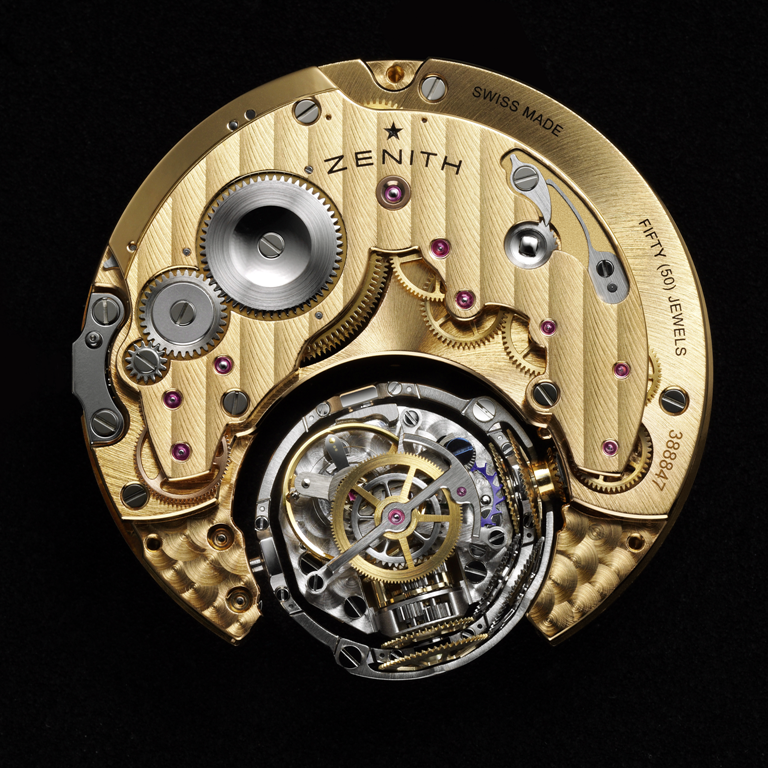 While Zenith has displayed its expertise in all the major complications that it masters to a rare degree of virtuosity, there is one field in which the company has particularly distinguished itself: that of chronometry, or precision timing – an area in which Zenith has been rewarded by 2,333 prizes to date, an absolute record. While the quest for ultimate precision has always guided its creation, it was in 1969 that the brand introduced one of the greatest ever breakthroughs in the domain of time measurement. Not only was El Primero movement created that year the first automatic chronograph in watchmaking history, but it also beat at the exceptional frequency of 36,000 vibrations per hour, thus ensuring 1/10th of a second precision. 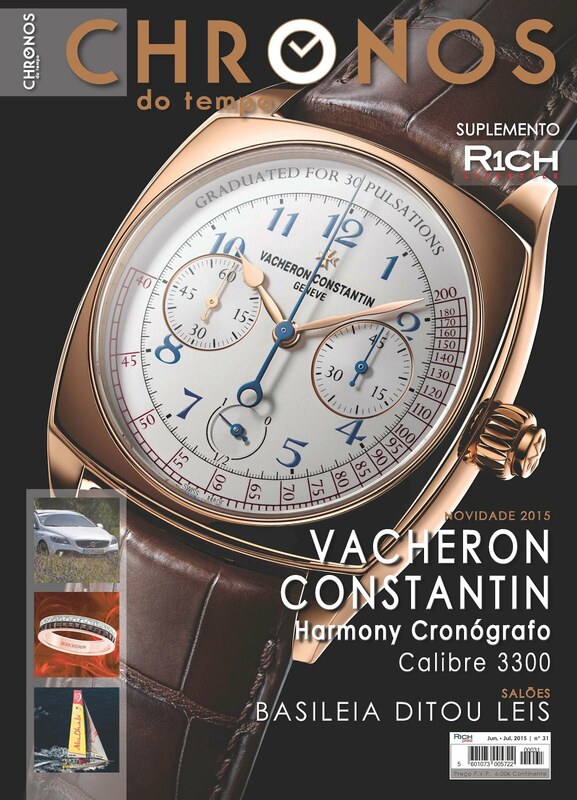 Ever since, this legendary movement has continually evolved within the collection bearing its name. While Christophe Columbus discovered a land harbouring infinite possibilities, the Academy Hurricane named after him offers the key to handling the three challenges involved in ensuring the optimal precision in a wristwatch: achieving a high oscillating frequency for time sequencing; neutralising the effects of gravity detrimental to its rate; and eliminating variations in isochronism. In other words, the goal is to solve issues relating to the wearing of the watch (gravity) and to the duration of its operation (progressive loss of isochronism – the identical oscillations of the regulating organ – as the watch gradually discharges), while nonetheless achieving remarkably precise time measurement (governed by the speed of the balance movements). Whereas the majority of 16th, 17th and 18th century timepieces were equipped with a fusée to regulate the driving force transmitted to the going train, things are very different today. Only a handful of watch manufacturers are capable of transposing this mechanism into the diminutive space available inside a wristwatch. With its Academy Christophe Colomb Hurricane, Zenith is now a member of this highly exclusive club. 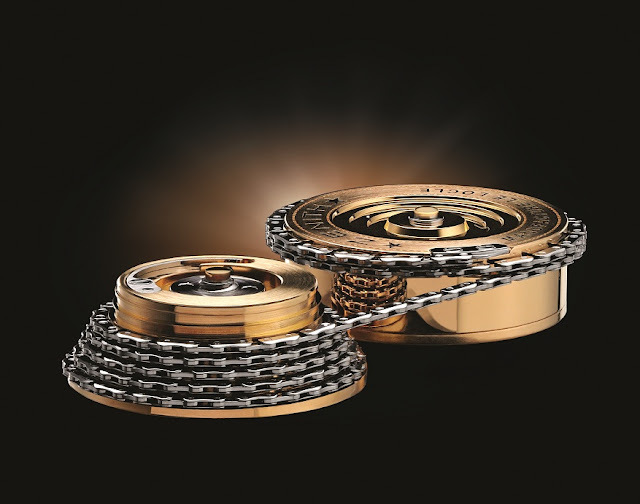 While the brand with the star emblem is the only Manufacture to master the Gravity Control system – honoured at the 2011 Geneva Watchmaking Grand Prix in the Best Complicated Watch category – that it invented after a full five years of intense development, it took another two years to fine-tune the fusée-chain mechanism. This is because of the vast differences existing between the marine chronometers that inspired the Hurricane and a 45 mm-diameter wristwatch – a gap that Zenith has succeeded in bridging by dint of relentless hard work. There was of course no question of using a winding key inserted through a cavity right the way through to the dial, as was the custom in previous centuries. In any case, such a solution would be unthinkable for a watch that Zenith wished to make water-resistant and thus devoid of any openings – an option that naturally meant using a winding crown. The gradual discharging of a mechanical watch causes a loss of amplitude and a corresponding loss of precision. On the contrary, with a fusée-chain transmission system, the driving force remains entirely stable throughout the duration of the power reserve. 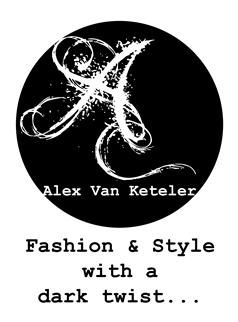 Whereas the spring at its heart imparts its strength to the barrel, the helicoidal shape of the fusée – stemming from a complex calculation performed specifically for the mainspring – compensates for the variations in force of the barrel that will progressively occur. 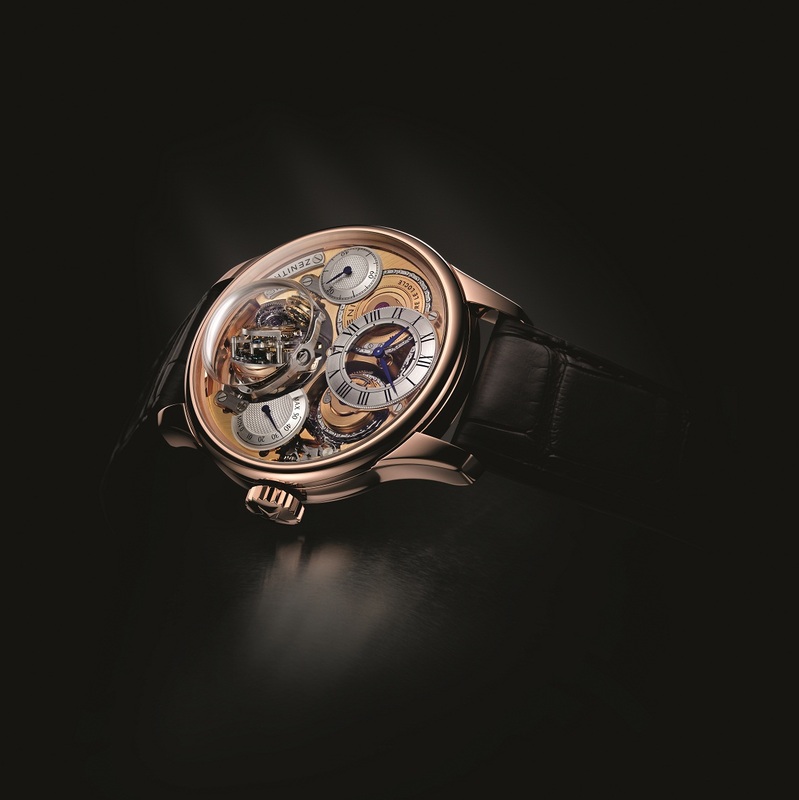 The transmission between the barrel and the fusée of the Academy Christophe Colomb Hurricane is handled via an 18 cm-long chain composed of 585 parts. This extremely complex component features a construction based on alternating double and intermediate links, while the dimensions of the rivets are the object of sophisticated calculations designed to control their clearance. While handling the chain calls for infinite expertise and care, it is capable of withstanding over three-kilogramme tensile force once it is fitted in place. Throughout the duration of the power reserve, the barrel transmits its force to the fusée via the chain that is wrapped around the barrel. By adjusting variations in tension, the fusée transmits its constant force to the going train that in turn imparts it to the silicon escape-wheel inside the gyroscopic carriage. While it takes over 50 hours – the entire duration of power reserve – for the chain to wrap itself entirely around the barrel, the stem-winding process is a fascinating sight. The few seconds it lasts provide a chance to see the fusée and barrel turning the opposite way in relation to the operating direction, so that the chain can once again wrap itself around the fusée and thereby wind its spring. The shape of the fusée used in the Academy Christophe Colomb Hurricane was dictated by the optimal force with which the Zenith master-watchmakers wished to endow the barrel. 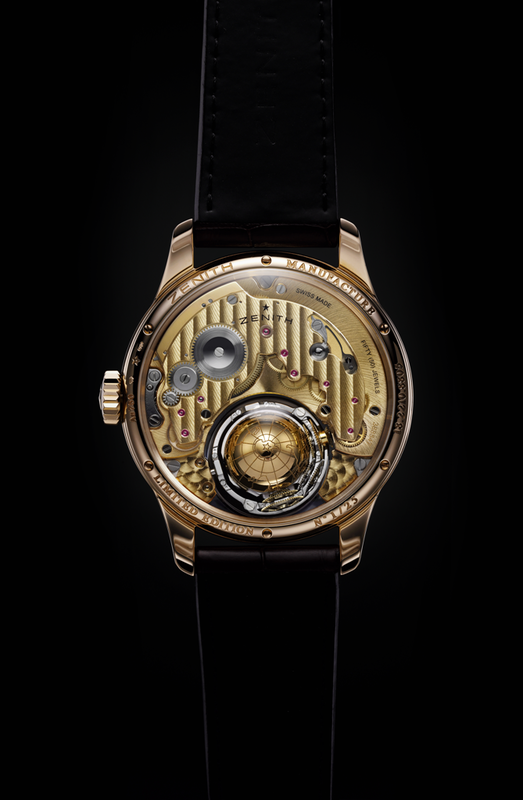 Its grooved cone-like silhouette as well as its dimensions stem from careful calculations, notably combining theoretical force and the duration of the power reserve. These particularly complex calculations were performed for each of the seven stages involved in the construction. Without the integration of all relevant professions within the Manufacture Zenith, and particularly that of movement prototype-making, along with the use of sophisticated equipment, this fusée might well have proved impossible to create. This is a key strength for an integrated Manufacture, of which the swift responsiveness represents another significant asset. Along with its fusée-chain transmission that eliminates variations in isochronism, the Academy Christophe Colomb Hurricane also cancels out another phenomenon exercising a detrimental effect on the rate of a mechanical watch: gravity. Working on the principle that maintaining the regulating organ in a horizontal position results in the best possible balance amplitude and thus generates the best timekeeping precision, Zenith conceived and patented a revolutionary Gravity Control system designed to ensure that the regulating organ and the escapement are permanently kept in this position. An avant-garde device revealing the brand’s undeniable boldness, the Gravity Control system is also a tribute to history in that it is inspired by the marine chronometers historically produced by Zenith. Gravity Control derives from these legendary instruments the principle of gimbal suspension, a kind of pivoted support first introduced on marine compasses in the 16th century and designed to enable them to turn and maintain their horizontal position, even when they were no longer aligned due to the pitching and rolling of a ship. With the subsequent emergence of pocket-watches, these same means could no longer be applied, because they would have required fitting a voluminous 50 mm mechanism inside a pocket. The tourbillon was therefore invented to compensate for the variations in rate of the watch, based on the principle that it remained in a vertical position inside a pocket and that only the winding-stem shifted from side to side. Today, classic wristwatch tourbillons continue to correct for the various positions by equalling them out along the four vertical axes every minute. 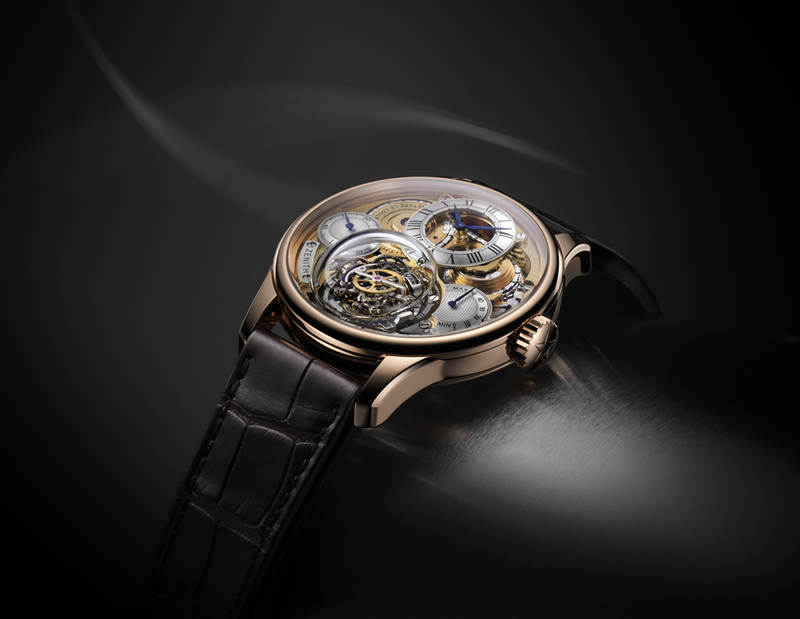 Inclined or multi-axis tourbillons establish even more positions, even though they only remain briefly in a horizontal position and only in fact correct the sum of several errors induced by numerous wrist movements. With its self-regulating gyroscopic mechanism, the Gravity Control system serves to keep the escapement permanently in a horizontal position, whatever the slant of the wrist, and thereby embodies the ultimate evolution of the marine chronometer. Because Zenith consistently reconciles boldness and authenticity with aesthetic pleasure, the Academy Christophe Colomb Hurriscane is not only an unprecedented accomplishment in terms of precision, but also a constant visual delight. Its all-of-a-piece sapphire crystal showcases the shining mechanical refinement of the fusée-chain system, revealing the barrel and the fusée around which the chain progressively wraps itself. At 6 o’clock, the gyroscopic carriage, a magnificent 173-part horological gem, enchants the admiring gaze with its ethereal whirling motion. The roundness of the dome is echoed by the curves of the openworked hour and minute dial at 12 o’clock, while the hand-guilloché small seconds and power-reserve displays are also subtly convex. On the bridge side, the sapphire crystal reveals a globe motif laser-engraved on the counterweight of the gyroscopic module, paying a glowing tribute to the spirit of travel epitomised by Christophe Colombus. A truly perfect symbol of this exceptional timepiece issued in a 25-piece limited edition!